Since 1879 the Chicago Union League�s 24 story clubhouse has treated members and guests to the ultimate luxury experience in the heart of Chicago�s financial district. When members and guests are done dining and enjoying the benefits that membership of this exclusive club offer and retire for the evening their guest suite is just as appointed as the rest of the clubhouse. The bedding used is also five star and found in some of the worlds finest hotels, the Pacific Coast Double Down Around � Pillow. The Double Down Around � pillow is unique because Pacific Coast used a generous fill of goose down to cradle your head, but the pillows support actually comes from two inner chambers of duck feathers to give you lasting comfort throughout the night. The result is a soft pillow that doesn�t lose its shape through the night. 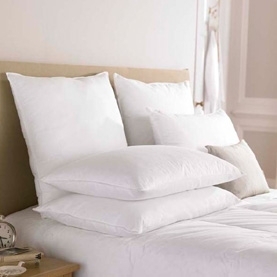 Pacific Coast Feather � is known worldwide for providing some of the finest hotels with their bedding and now you can own the same bedding from those exclusive hotels at home! Create your own luxury suite tonight and discover that membership does have its privileges with the Pacific Coast Feather Double Down Around � Pillow. The Chicago Union League Club � trademark is the property of The Chicago Union League Club �; this trademark is not owned or licensed by HotelPillow.com. 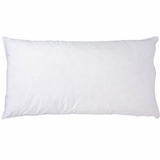 The Chicago Union League Club � trademark is used on this website for descriptive purposes to inform customers of HotelPillow.com that the Double Down Around Pillow sold by HotelPillow.com is the same pillow found at The Chicago Union League Club � property. This pillow is not manufactured by The Chicago Union League Club �.